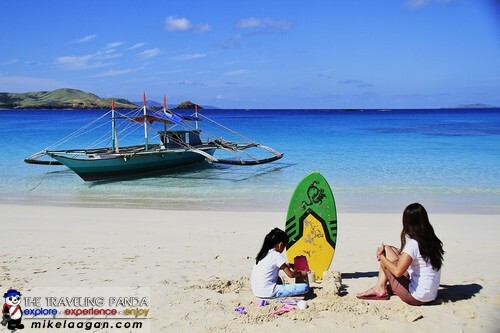 This is the third part of my article on Calaguas. 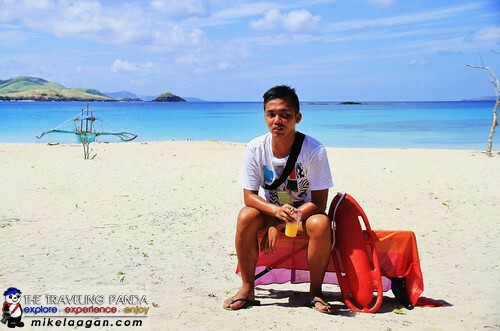 In case you missed the two previous articles, you can read them at -- Calaguas: A Paradise Waiting to Unfold and Calaguas: Escape to Paradise. 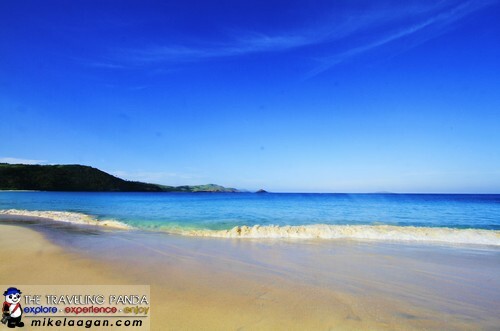 Mahabang Buhangin Beach or Halabang Baybay (local dialect) is a long stretch of powdery white sand enclosed by a cove in Tinaga Island in Camarines Norte. 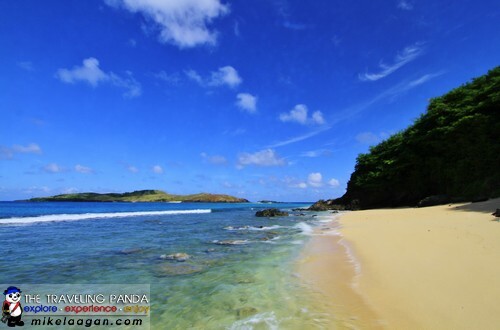 Tinaga Island is part of the Calaguas group of islands under the administrative jurisdiction of Vinzons. 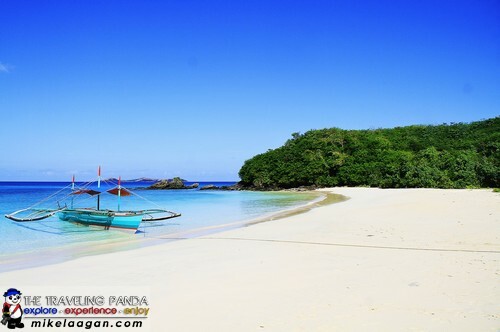 The pristine beach and turquoise sea are the reasons why this island is frequented by tourists. I woke up to the sound of the waves hitting the shore and the to the sunlight beaming on my face. I approached my friend Ritsi so we can enjoy the morning heat of the sun and play in the sand. Ritsi and I explored the island further and saw some local kids playing in a nearby swamp. The locals live on the other side of Tinaga Island. 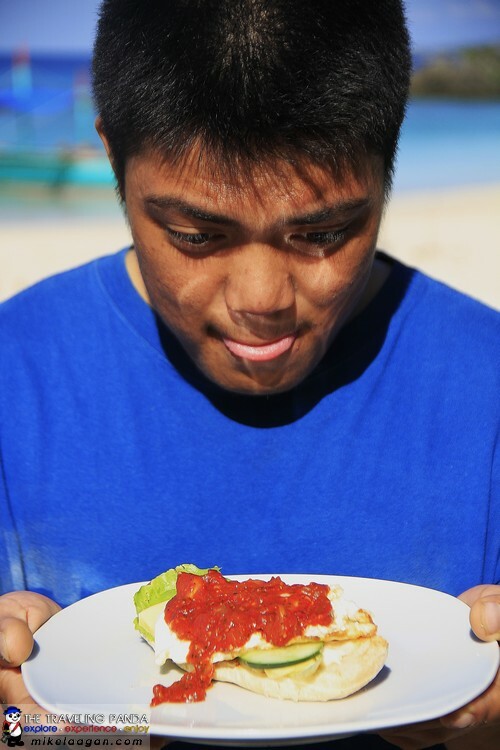 After a while, we felt our stomach grumble and decided to go back and join the other guests. When we got back, I saw one of the guest doctors heading to the far right side of Mahabang Buhangin beach leaving her footprints. When she got back, I had all the other guest doctors pose for a jump shot before having group picture. 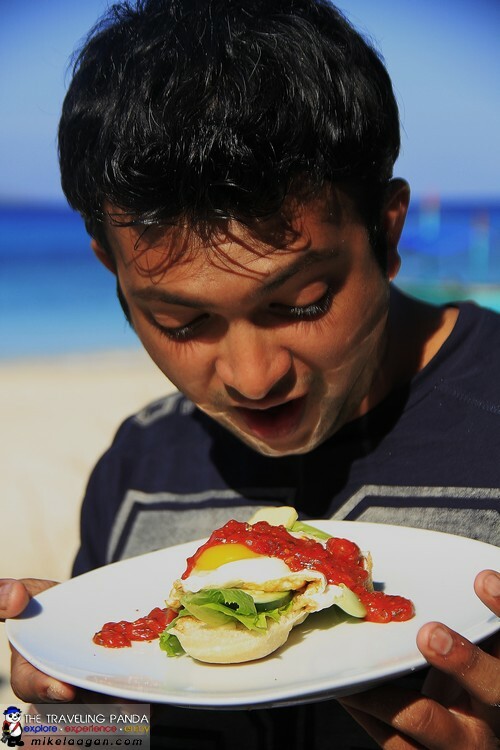 Brunch was not yet prepared by this time, so some of us decided to take a dip into the inviting waters of the beach. While the others relax, Ms Zoila (the face painter) and her daughter bonded and played with the white sand where a surf board was buried. I asked two of the doctors for another jump shot after their mother-daughter bonding. This time, re-enacting the famous Dragon Ball Z Kamehameha Wave. 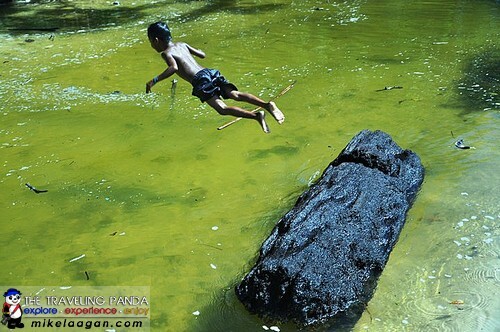 After the doctors, I also asked Maila to render a "Nike" jump shot in front of the surf board. Our food was almost ready when we got back to our tents. 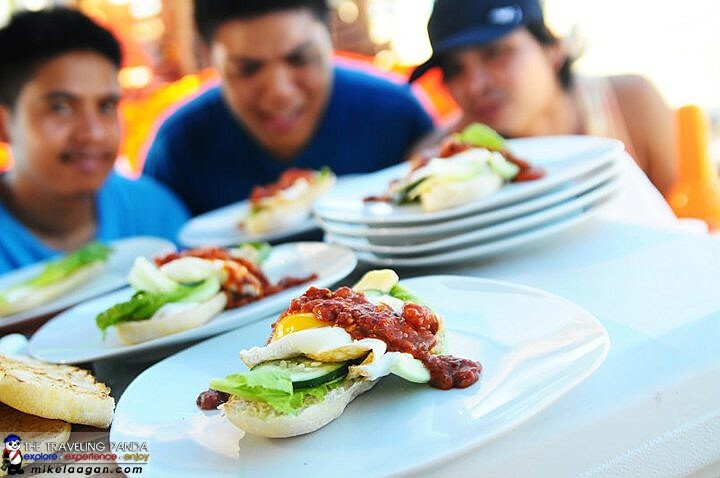 Sandre was intently watching our breakfast -- Ham and Egg Open sandwich with Napolitana Sauce prepared by Chef Janjie and Chef Dundee (upper). When everything was ready, Mohit (lower left) and Sandre (lower right) had their pictures taken before they partake on their food. 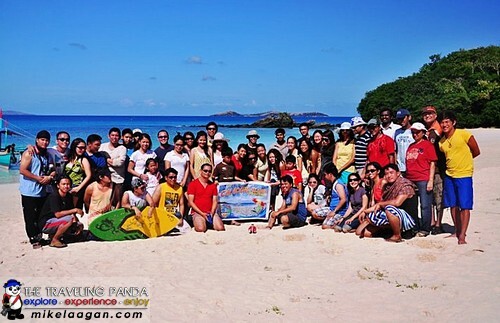 The weather was so perfect the weekend we were in Calaguas. No one wanted to leave this paradise. 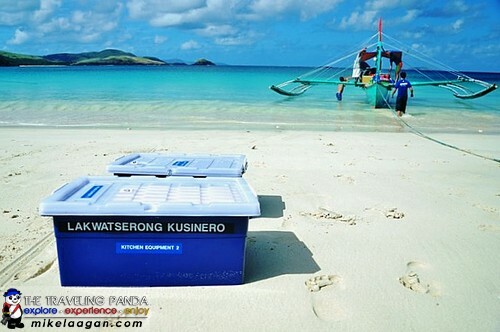 While some started to pack their personal stuff, some of us lingered one more time around the island and savor its charm before going back to reality. 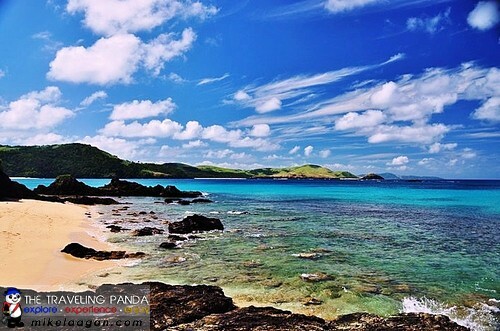 It was indeed a wonderful trip to this paradise. More so that we met new friends. I will surely go back here when I want to escape from the hustle and tussle of the urban jungle in Manila. We had a group shot before finally boarding the boats. 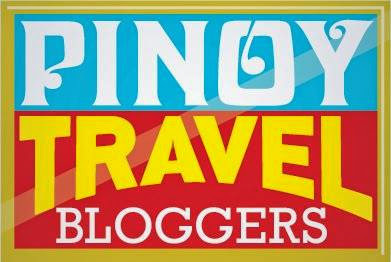 On my next article, I will give a travel guide and DIY for Calaguas.